Yoga+Music(notquite)365 – Day 75 – Fox Confessor Brings the Flood by Neko Case – The Recipe Edition! Today I’d like you to meet and make friends with the date. (Click the link for the nutritional information on this amazing fruit). Dates are high in dietary fiber, low in fat, cholesterol, and sodium, and contain more potassium than bananas! Dates are sweet, healthy, filling little treats and when they are paired with a lightly salted cashew or almond – perfection! I keep a little container of dates and nuts in my desk at work and snack on them in class. My students are always interested in what I’m eating, but not once has one of them taken me up on the offer to try one. I can’t even get J. to try one. He thinks they are ugly. 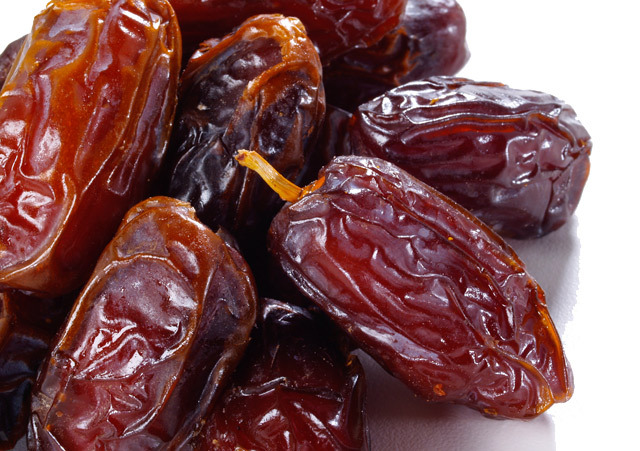 Please let me know if you have ever tried dates and what you think. What are your favorite healthy snacks? I need some ideas how to keep hunger at bay. Today’s music is Fox Confessor Brings the Flood by Neko Case. – This is my reentry back into listening to music. I’ve taken some time off – being sick made me crave silence. I guess I’m finally starting to feel like myself again. This entry was posted in A Yoga+Music365 Project, Recipes, Self-Care and tagged dates, healthy and fast, snacks, ugly food by Teacher Goes Back to School. Bookmark the permalink. Love the Fox Confessor…and you. @kim – right back at you. Have you made date balls before? Don’t know the real name but you’ve probably had the Ayurvedic ones. I make something similar and gobble them up. Dates, apricots, walnuts or another meaty nut, anise seed– in the processor they go and I roll them in coconut. I love the sweetness of the dates with the tanginess of the apricots.